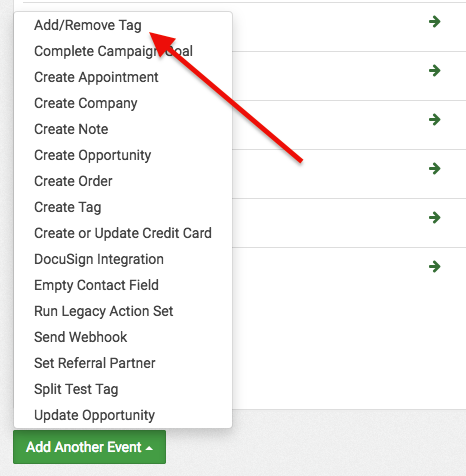 Under the actions page of your email parser select " Add Another Event". If you do not see this then select "Save Contact Setting" and it should appear. 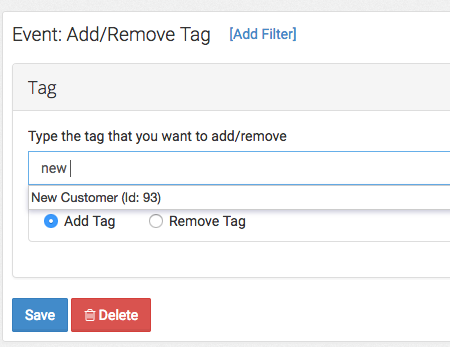 Now In the dropdown menu select "Add/Remove Tag"
Start typing the name of the tag and a list will auto populate. Select the desired tag. As always don't forget to press "Save" as your last step.